Note: Ha images were focused, aligned, and combined using MaxImDL. Color images were focused, aligned, and combined using ImagesPlus. These images were registered using RegiStar and combined in Photoshop CS2 (paste color image over Ha background; blur color image and blend using Color mode). The fial image was adjusted (Levels, Curves) in Photoshop CS2. 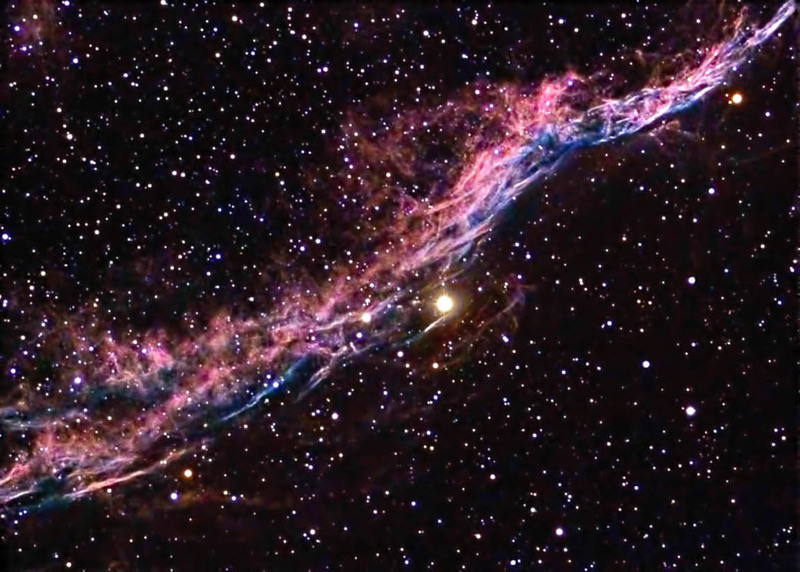 This section of the Veil nebula is sometimes referred to as the Witch's Broom. Taken from my backyard observatory in southeastern Minnesota.